Tokyo much? 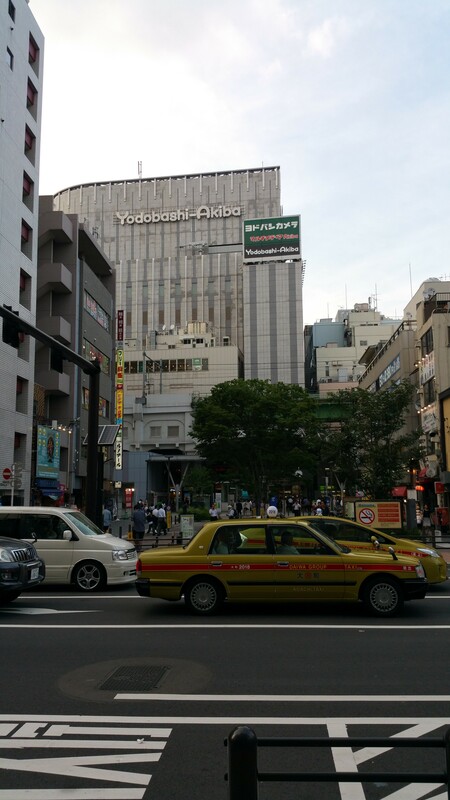 Akihabara (something for the nerds) – Travel Much? The district of Akihabara is a true El Dorado for technology-geeks and games- and manga-nerds, and if that is you, then you would be called otaku in Japanese. The district is also called Akihabara Electric Town. After WW2 it became the commercial center for household appliances, electrical apparatuses and also the postwar black market. Historically, this was a town gate to Edo (previous name for Tokyo), and the passage way between the city and the north-west part of the island. Craftsmen and merchants, and also some lower class Samurai, settled here. The area was destroyed in a fire in 1869, and the inhabitants decided to replace the burned down buildings with a shrine/sanctuary called Chinkasha – meaning fire extinguisher shrine. The popular name on the shrine was Akiba, named after a God who had the power to control fire. The surrounding area was therefore named Akibagahara, which was later shortened to Akihabara. As household appliances began to lose its futuristic status and became common in the Japanese homes in the 1980s, the stores in Akihabara shifted their focus to home computers. At this time the computer were used by specialists and a few hobby-programmers. This change attracted a new type of clientele: the otaku (nerd). The nerds then attracted yet another type of customer, those interested in Manga, Anime and videogames. 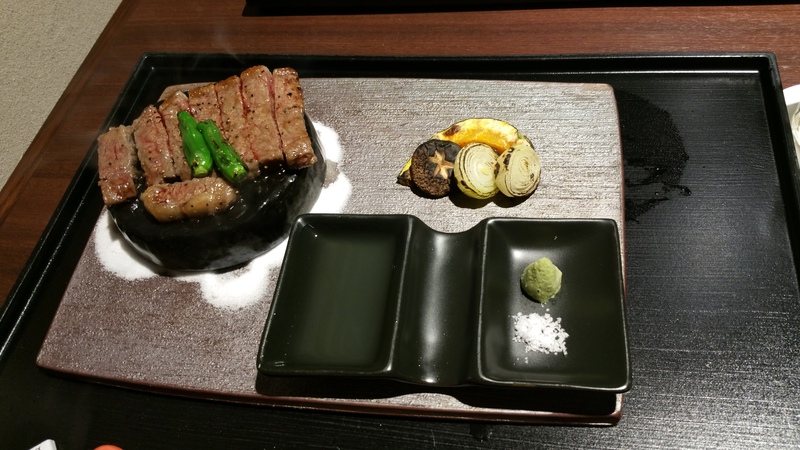 (See this post for Manga: Tokyo much? Manga-Mania) Relations between Akihabara and otaku have not just survived, but have grown to the point where the district is now known all over the world for its otaku culture, and many otaku regard Akihabara as their Holy Grail. Yodobashi Akiba is a monstrous department store in the Yodobashi Camera chain. We are talking 8 huge floors filled with electronics, computers, light, sound, toys, kitchen appliances, cafes, and everything your little okatu-heart desires. There are many fun purchases to be made here, but not all are very wise. Console games are zone locked, PC’s and tablets comes with operating system, keyboard and software preinstalled in Japanese, and mobile phones are sold solely on contract. Whether or not you come out of there with lots of shopping bags – this place is definitely worth a visit. It is the sickest department store ever! Should you be inclined to dazzle in the fine art of shopping, please note that tax free shopping is available (usually electronic stores and the big department stores in the bigger cities), and if you shop for more than 10.000 JPY in one day in one store/department store, you can get the 5% VAT refunded. Remember to bring you passport, or else there will be no refund. Some stores will deduct the VAT at the cashier, others require you to take the receipt to the information desk and have it refunded there. Also smart to have checked what the max value is for importing toll free goods to your country. After a whole day in a friggin’ department store, we returned to our hotel exhausted and with sore feet. 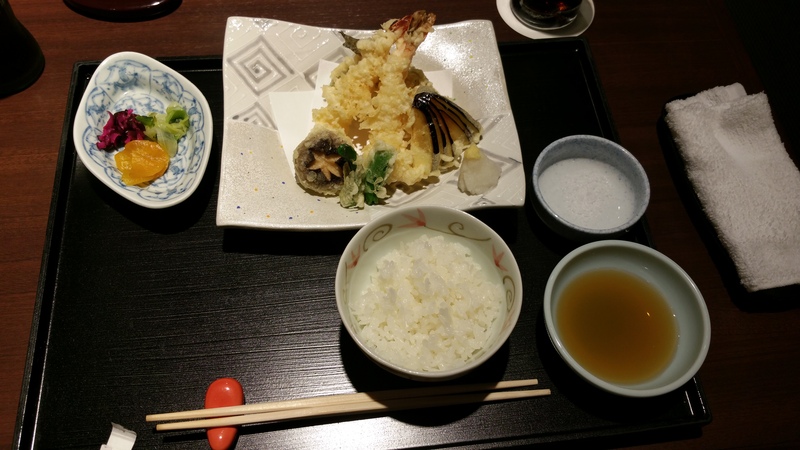 We chose the Japanese restaurant at the hotel for dinner. We finally got us some Japanese food! The waiter, a very formal man (this was a nice restaurant, mind you), had to swallow more than one giggle when the Karate Kid and I lost things in our noodles, stabbed the vegetables and had great difficulties with the chopstick technique. Despite our clumsiness, we really enjoyed our three course meal. Stay tuned for the Big Scramble (and we are not talking about eggs), and the Edo Castle.